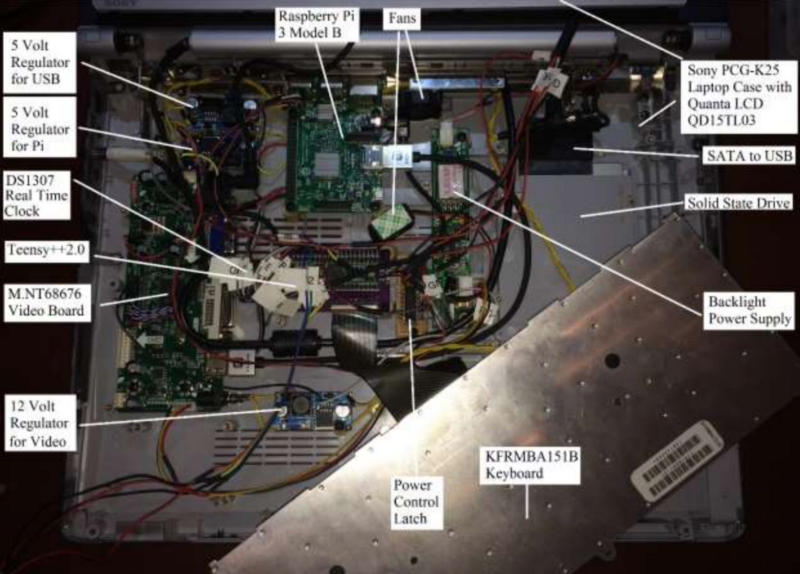 Reviving an Old Sony Vaio with a Raspberry Pi and a Teensy #piday #raspberrypi @Raspberry_Pi « Adafruit Industries – Makers, hackers, artists, designers and engineers! If a laptop is past a certain age when something like a motherboard fails, it’s generally not even worth repairing. Most of us just salvage what we can: the memory, the hard drive, maybe the battery. But with the rise of small computers like the Raspberry Pi, it’s now possible to rejuvenate a broken laptop affordably. Frank Adams has posted a fantastic walkthrough on how he did this with an old Sony Vaio PCG-K25. Virtually all of the laptop’s original innards were removed, and replaced with a Raspberry Pi 3 Model B and a Teensy++ 2.0. For storage, a 240GB SSD was connected to the Raspberry Pi with a SATA to USB connector. 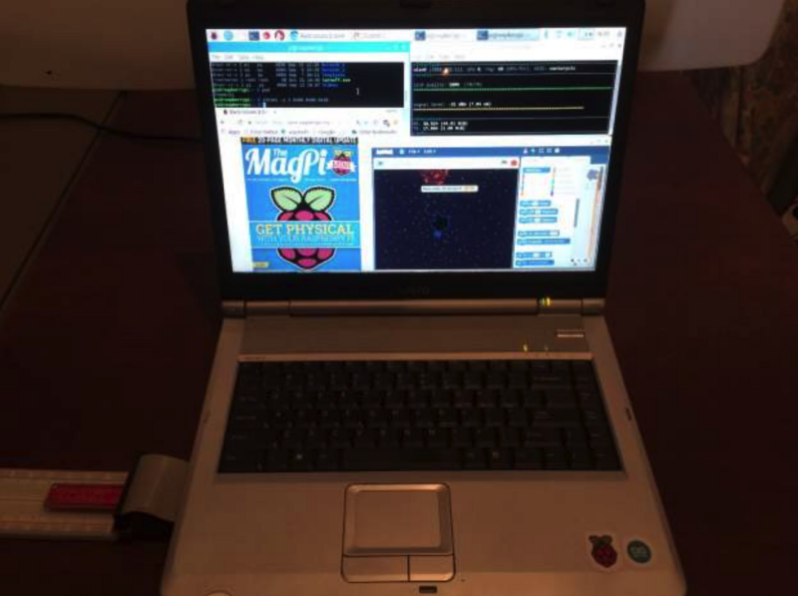 As you might imagine, the big challenge was interfacing the Raspberry Pi with the laptop’s original hardware. That’s where the Teensy comes in. The Vaio’s keyboard connector was wired to the Teensy’s I/O pins, allowing it to be used with the Pi. Because the video output from the Raspberry Pi is HDMI, that was converted to the LVDS that the Vaio screen uses. But Adams didn’t stop there, he went on to get most the original functionality restored. Almost everything, even down to the the status LEDs, is working. The only notable exception is the battery, but Adams thinks he’ll have that usable soon too. If you’ve got an old laptop sitting around, this guide should provide you with plenty of inspiration.